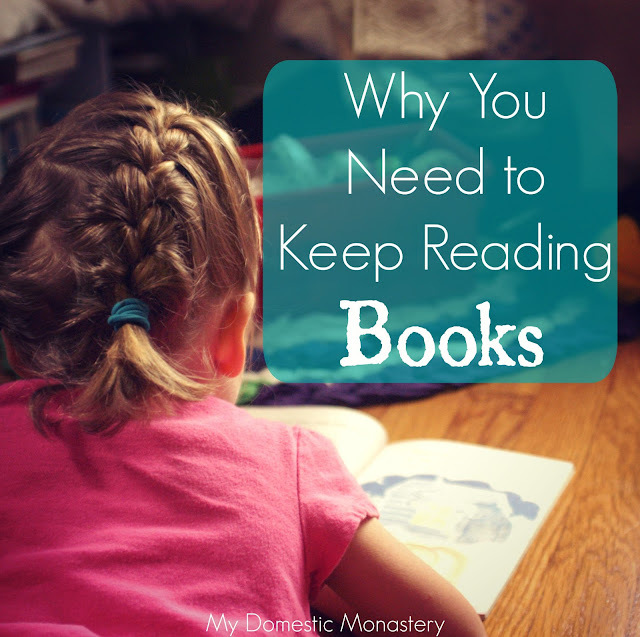 Ever since becoming a mother, there is one sentence that I keep hearing from other moms, "I can't read books anymore." Of course, not every mom I know says that, but a lot of them do. I get it, really I do, but it also makes me sad. I understand how mentally exhausting motherhood is, truly I do, but I also know that reading matters. So what's a mother to do?! The orthodics doctor has the coolest children's room. As I've shared before, this year is one of discernment for us. We're simultaneously doing school at home and sending Therese to an actual school. We're tasting both worlds, and seeing what fits our family and what doesn't. 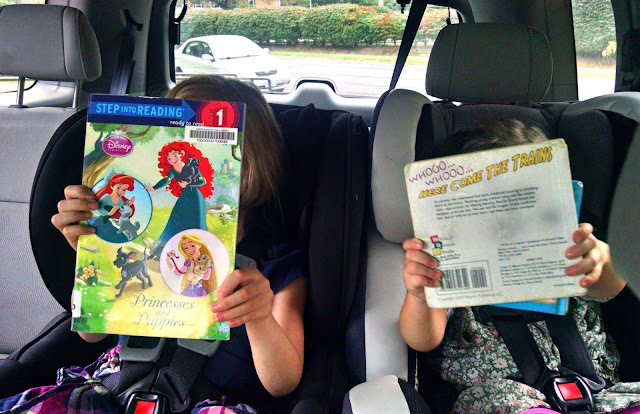 One discussion we keep coming back to, over and over again, is our desire for the girls to be well read. We want them to have a strong sense of what is true, good, and beautiful. Andrew and I went to good schools all our lives, but the gaps in our education are bigger than you'd think. One of the biggest gaps is the amount of literature that we didn't get to during the first thirteen years of our education. It bothers both of us, and we've individually been working our way through various works of classic literature recently. However, I feel like the biggest thing that I struggle with is verbally articulating my ideas. I can adequately write them out, but it's sometimes difficult to express those. Actually, let's be honest - sometimes when I try to articulate my thoughts I get instantly flustered, stumble over my words, and feel incredible dumb. Do you experience that phenomenon, too? 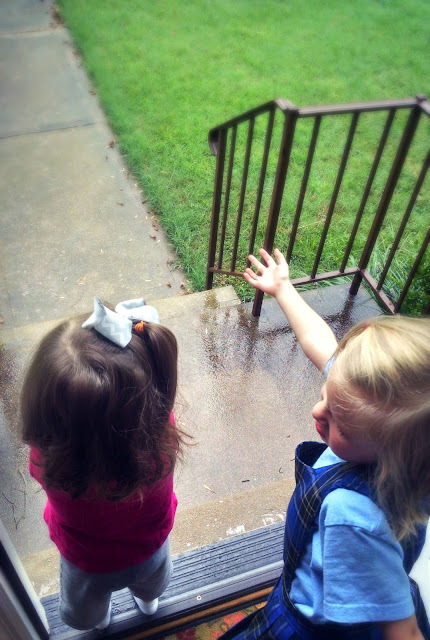 The littlest one loves "rain-nee" so much I just had to open the door and let her catch some drops! Fast forward six years and two children later and...we're exhausted. We still do talk about somewhat more weighty things, but we're also just too tired to talk about anything of substance sometimes. That being said, we want our relationship to keep growing, and we also want ourselves to keep developing intellectually. So, when I heard about the book, The Well Educated Mind by Susan Wise Bauer while listening to a recent episode of The Read Aloud Revival, I was intrigued. I have a copy of the The Well Trained Mind, because we're leaning toward Classical education right now. But I had no idea that Susan Wise Bauer had written a book designed to help you classically educate yourself as an adult! I checked it out of the library and have been slowly working my way through it. When I was in Kindergarten, my mom would make it look like my dolls had been busy while I was at school. The tradition lives on! Her premise is simple - reading matters. Reading matters in exercising your brain, in the same way that exercising matters in keeping your body healthy. You need to read to be a healthy person. But I'm also drawn to her approach because it's simple. She lists books to read (and I'm never quite sure where to start with classic literature), she gives you a plan, and she encourages you to undertake this project. Of course, here's the beauty of what she suggests - she reminds the reader over and over again that this isn't a college course. You can read at your own pace! If you read a page a day, it's worth something. (And believe me, my brain is too tired even for that on some days.) It's simply a matter of reading - it doesn't matter how many pages or minutes you read a day! In the same day we went to a bookstore and the library. These little girls were happy as larks. So, Andrew and I are going to start. We've picked our first book (and neither of us have read a page yet, for the record) and we're going to try. We're going to try to read together, and to discuss together. I'm also itching to try this with some female friends, so we'll see if I can recruit anyone! I'm going to try to not get intimidated by this project, but to keep in mind that even the smallest of efforts can have great value. Ooh I love this! A life bucket list goal for me is to re-read the books I was in PLS. Conveniently, I already own them all ;) What book did you pick to start? Nice! I'll need to check out Bauer's book myself when I've finished the book I'm currently working through. It is such a fulfilling endeavor to engage with great minds and profound thoughts through literature, and definitely needed when you don't have much time for deep or intellectual conversation with other adults. Read aloud have revolutionized our homeschool and our family. 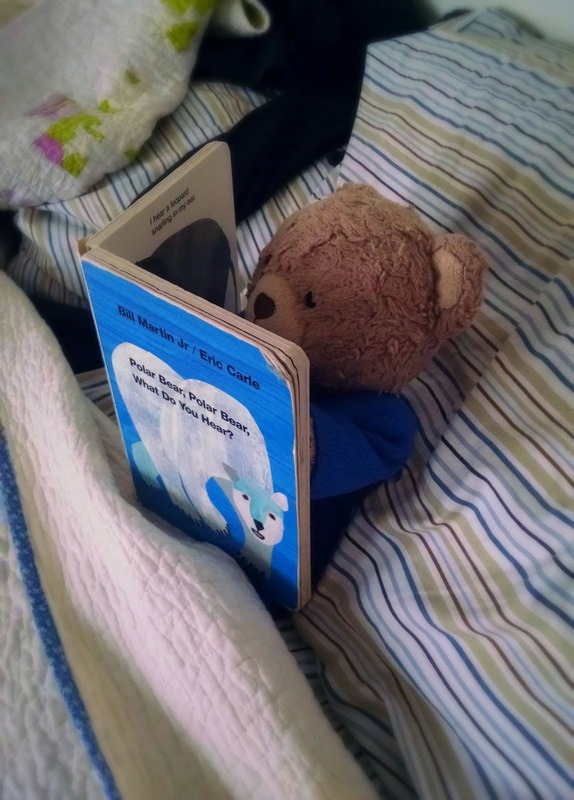 I do a series of read aloud each morning for about an hour and a half. I have enjoyed getting to read the classics that I missed as I child and am learning so much. My husband does another forty five minutes at night. I have to say my kids are more well read than I am. Reading independently is tough--especially after all the reading for school--but I'm just so happy to be experiencing stories and nuggets of knowledge that fall into that huge gaping hole between what I thought I knew and what I was actually taught. Thanks for this post! I needed to hear "If you read one page, it's worth something." 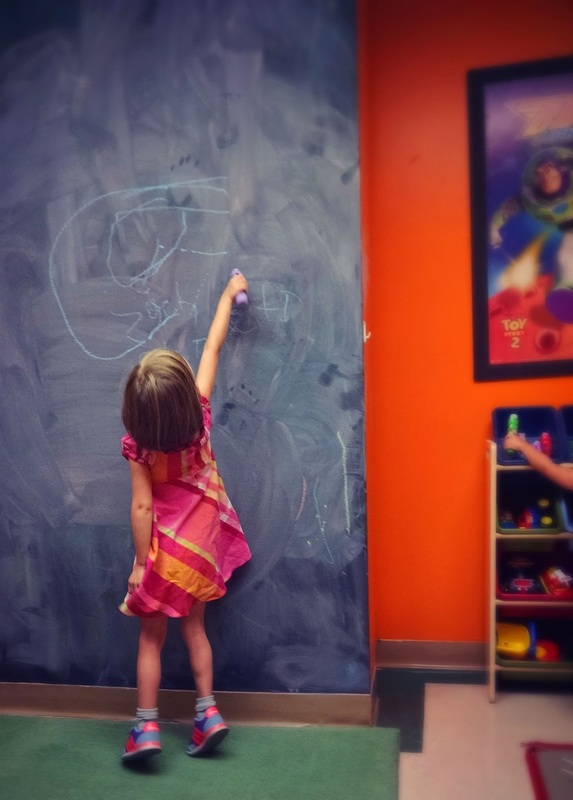 I'm the mother of a seven-month old, and we live in an intentional community. Some nights, all I can do is sit down and read a couple of pages after a long night of laundry, etc. I appreciated your encouragement, and I'll have to check out that book.